Author sylvanendPosted on June 12, 2018 December 26, 2018 Categories My GardensTags dandelions, garden love, violets, weedy gardenLeave a comment on What do you see? For my new backyard garden, I tried two ways to make new garden beds. First I stripped the sod and did double digging. On another part of the garden I covered the soil with newspapers and straw. When I was a child, I spent a lot of time sitting behind our garage, because just over the back fence was Frank Atwell’s most amazing garden. It filled his whole back yard and inspired garden lust in me the rest of my life. 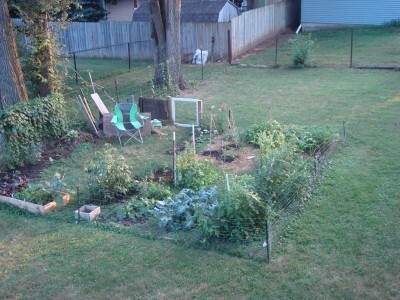 Fast forward to 2013, and I now have my own back yard garden. Yes, I live in a rental, but the landlord said as long as we take the fence down when I leave, I could have free reign over the lawn! The summer of 2012, I participated in a community garden on Maple Street. There, I was introduced to John Jeavons’ Grow biointensive gardening and I wanted to continue to experiment with this. 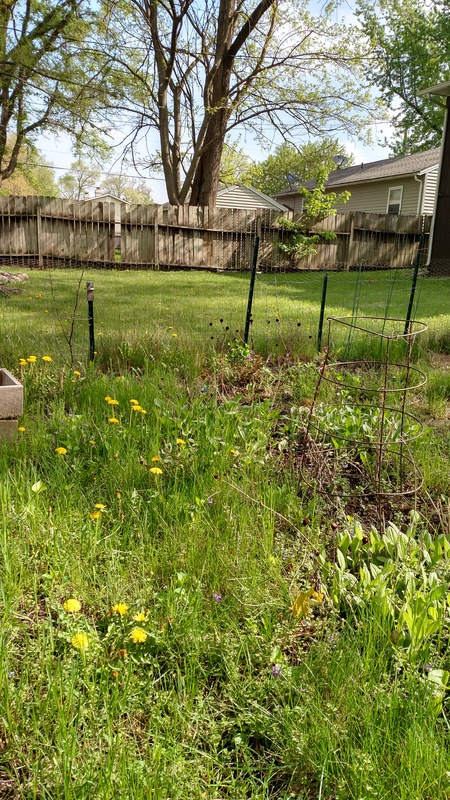 Over the next few days, I’ll show you how I turned a 20 X 20 foot piece of lawn into a little piece of paradise with just my spade, some newspaper and straw. Growing in the Garden: Bunnies! Soon after the gardening season got under way in the spring, I was watering the potatoes when I heard a very loud, hysterical squeal! What the………..I had my guesses… so I got a long stick and started poking around in the straw. Sure enough…bunny nest! 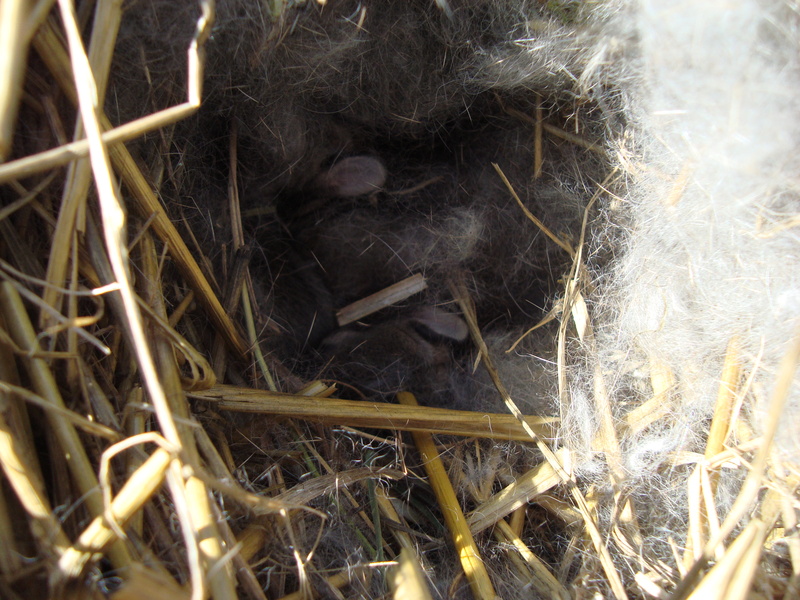 Well, I worried over the bunnies for several days, kept poking open the nest and half hoping it would cause the mother to move them away to a safer place. I lay awake at night thinking of this year’s garden philosophy, working WITH nature, not against it. And then I would dream about what wonderful compost bunnies might turn into…circle of life and all that! Finally I decided to just deal with it and let them alone. I had visions of the whole family setting up their dining room in our garden, but one day I picked a couple of the little guys up and held them, and they jumped out of my hand and ran away. The others followed, and I didn’t see them again! Now the deer…..umm, that’s another story! Author sylvanendPosted on September 7, 2012 August 24, 2018 Categories My Gardens4 Comments on Growing in the Garden: Bunnies! What’s your favorite melon to grow in the garden? It’s been years since I’ve tried to grow cantaloup, but this year, my motto was: “Try everything!” I bought some plants at Early May and wound up with a few melons that looked like this (and a few that looked oddly shaped and never made it past the golf ball size). I can’t even begin to describe the thrill of seeing YOUR OWN MELONS growing right there before your eyes! I had to really discipline myself to wait until I thought the first one might be ripe (Who knew it would be so hard to know when the thing was ripe?). 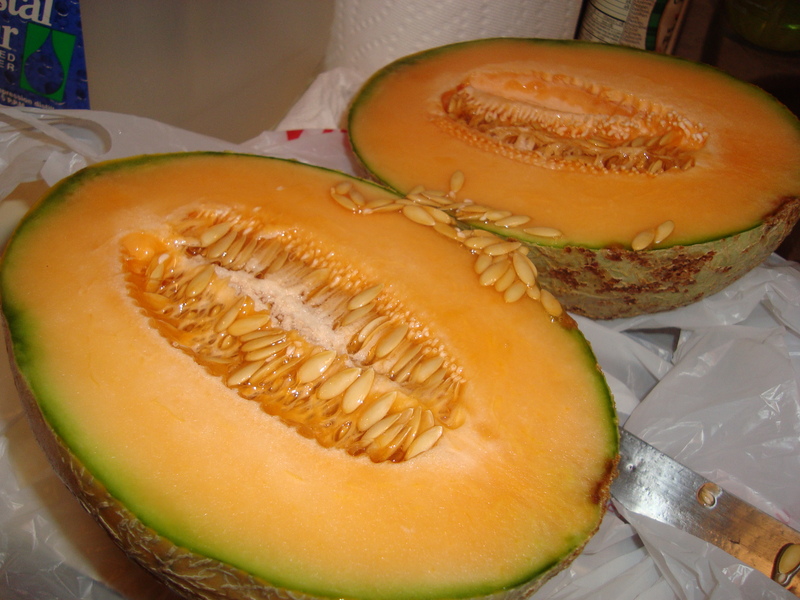 Turns out I could have waited a few more days on that first one, but it was still sheer bliss when I cut it open and saw the orange firm flesh and tons of little seeds……a “real” melon, grown from my own fingertips (and Earl May!). This particular variety was not very sweet (don’t remember the name and I didn’t write it down…ooops), even when it was quite ripe. Do any of you have a favorite variety of melon you’ve grown? What’s the sweetest musk melon you’ve ever tasted? 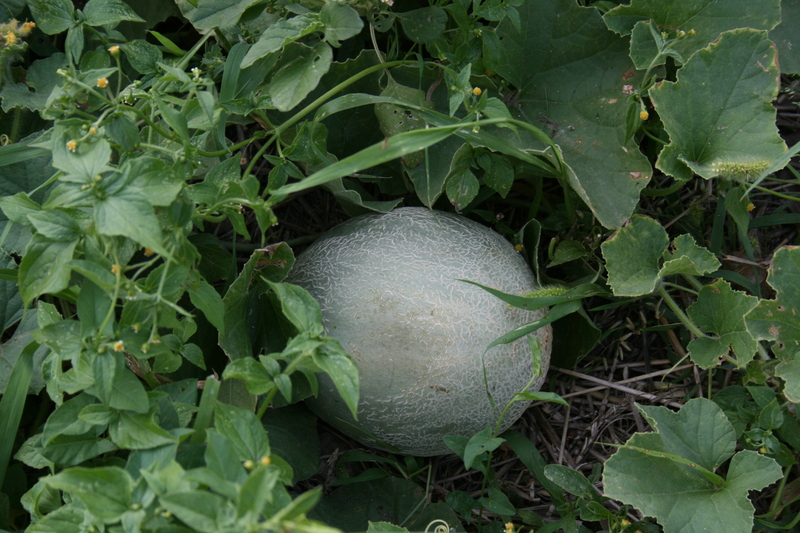 Author sylvanendPosted on August 23, 2012 August 24, 2018 Categories Community Gardens, My Gardens1 Comment on What’s your favorite melon to grow in the garden? Author sylvanendPosted on August 9, 2012 August 24, 2018 Categories Community Gardens, My Gardens1 Comment on Double Digging is for the Birds! 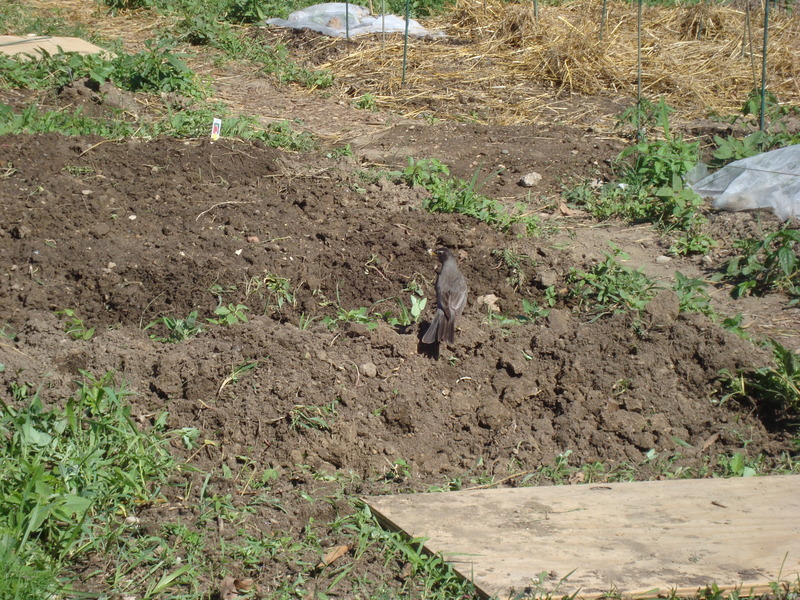 My first garden in Ames was at the ISU Student Organic Farm when it was located on Mortenson Road. 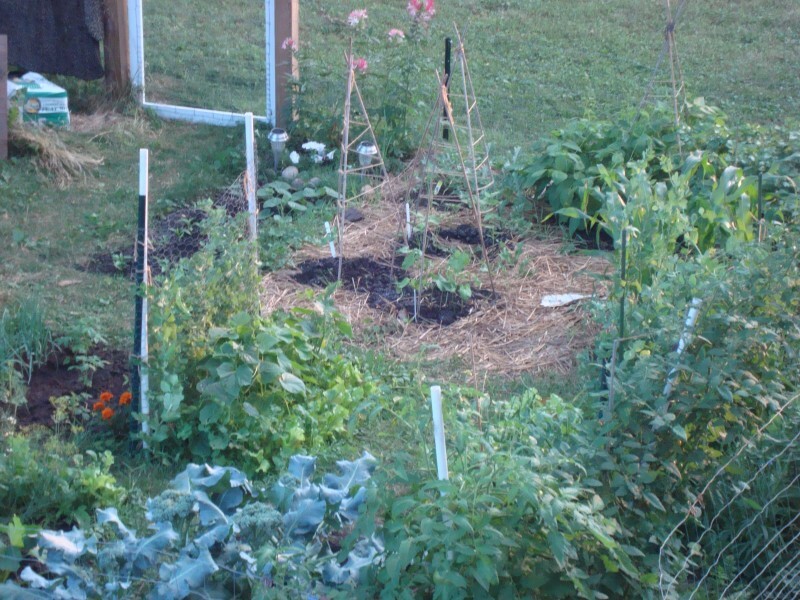 One of the reasons I came to Iowa State was because it had a Graduate Program in Sustainable Agriculture and I eagerly went to Borders and bought several books on organic gardening. 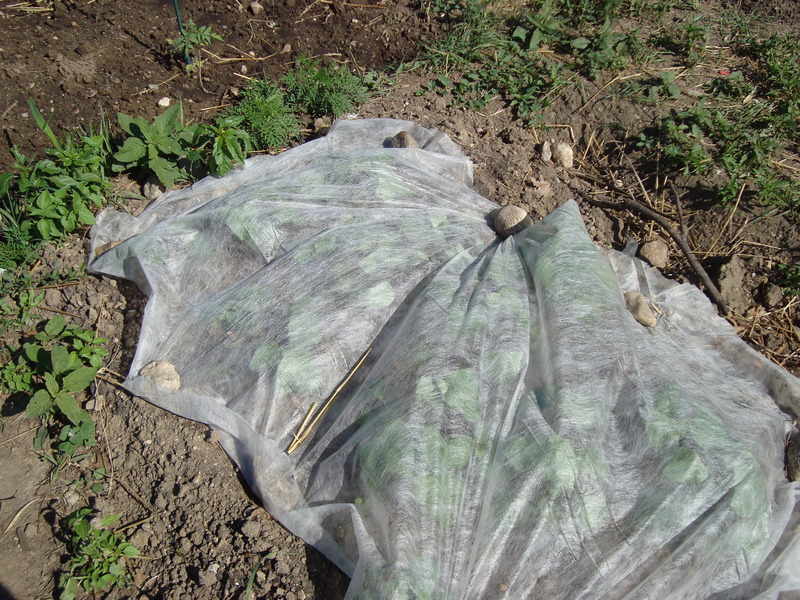 Row cover was suggested for solving critter problems in the garden, including mammals, birds and insects. It’s not something you can usually find at big box stores. This year I found mine at Earl May over on 16th street. 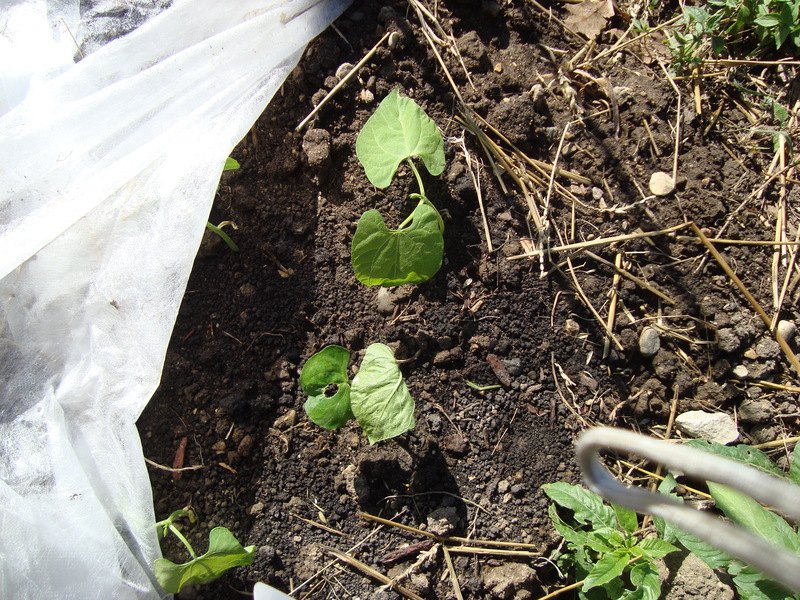 The photo above shows what is also called “floating row cove”r over my little patch of sweet potatoes. I was pretty sure deer were making a salad out of this after I saw the vines snipped off and hoof prints all around! 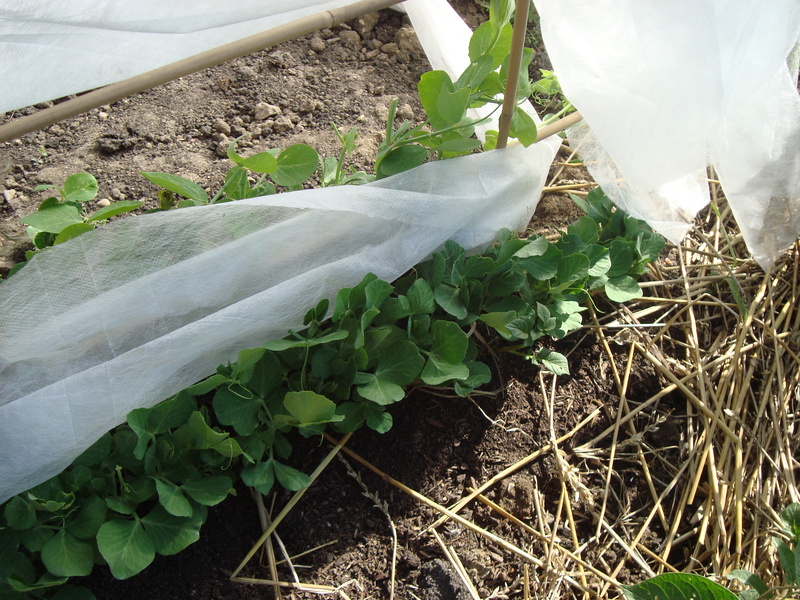 I also covered peas and beans (I pulled the row cover aside for these photos so you could see what is underneath.) I wanted both of these to climb, however, and after inserting some bamboo stakes, it was hard to keep the cover in place. I finally decided the tender plants were out of danger and removed the cover all together….and…..you guessed it…….SOMEONE snipped everything off! It doesn’t pay to get careless as a gardener….shoulda kept my best friend right there in place!